Stone wall applications can add a classic, elegant touch to your walls as seen on the above pictures from previous jobs we’ve completed. A question we often get asked from our clients is “What is the difference between Real Stone and Fake Stone”? 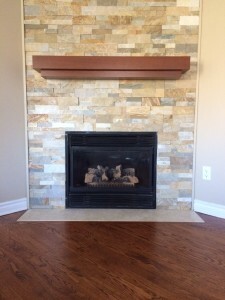 Cultured stone (or “fake stone” as some may say) is another term for manufactured stone veneer that is made from concrete in a factory, then stained with various hues to give it that natural stone appearance. Stone veneer is mined from the earth in forms of granite, marble, slate and limestone. The stone is cut into thinner pieces. 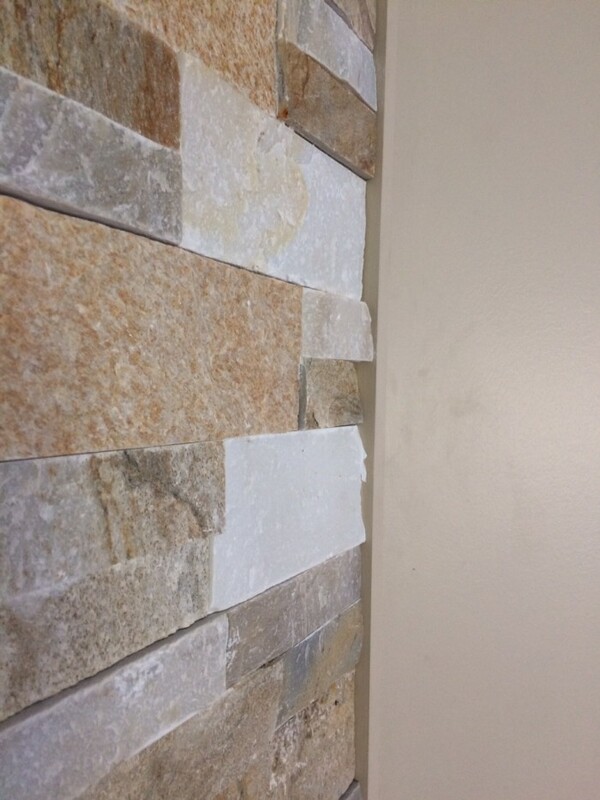 While using real stone may be appealing to some, it is a much heavier substance and requires proper backing be installed on the wall prior to application, otherwise it could pull the drywall off the wall and cause damage to your surroundings. Cultured stone has come a long way in it’s appearance (colors, textures and forming process) and is a very popular choice among home owners. DIY beware on this one, if not installed properly it will look fake and your investment on the purchase of the materials will be wasted. We suggest leaving this installation to the experts. 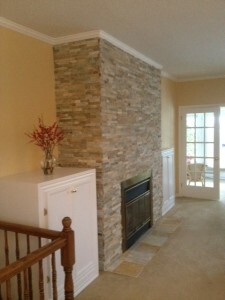 For home owners looking to apply stone to their fireplace walls as in the pictures above, there are things to consider such as clearance distances. Each fireplace will have manufacturer’s specifications on the required clearances that must be followed. 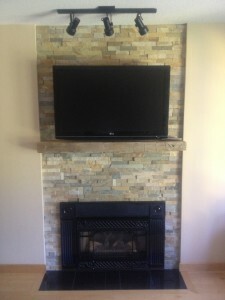 This will assist you with mantle materials selection and television or other appliance placement. The term zero clearance simply means that it can be enclosed with combustible materials. It does not mean that furniture or personal effects can be close to the fireplace – they should be at least 4′ away from the front of the glass. For more information on installing stone in and around your home, please contact the specialists at Gordmay to provide you with a no obligation estimate. Contact us here!